Carl Icahn announced on 28th April 2016 that he is selling his 0.8% stake in Apple due to fears over China’s attitude towards Apple and that he would happily by back in if China’s sentiments change. Whilst Icahn has obviously been very successful in the investment world, if what I have read even has a shred of truth it’s more through his aggression, bullying and secondary deals off of his investments than through shrewd value investing like Warren Buffet. Icahn has been very vocal during his ownership of Apple stock, including his demands for accelerated stock buyback in October 2014. He left himself an ‘In’ to buy the stock off in his media fuelled sell of his shares. In other words, to me, this stinks of a forced stock price drop through media sensationalist reports where he or entities related to him will then buy large volumes at the drop and pocket the profits when the price stabilises. No where is there anything raised about the correlation between China’s stand against Apple alongside the whole device encryption debate that is ongoing – centring around Apple. I doubt China likes the thoughts of its citizens being able to hold information from the government. With this respect I think the App Store is only the tip of the iceberg here. With collapsing industry in westernised countries, for example steel in the UK, it is only a matter of time before China holds all the manufacturing of things like Aluminium, Steel etc. At which point they will control the prices and it will inevitably go up. Icahn leaving will give the Apple executives a bit of peace and quiet to focus on their product line, which quite frankly is starting to become misaligned and suffer. China always has been an issue and will continue to be so going forward, for reasons far beyond Apple and closing its App Store. They will soon control the worlds supply of materials and with it the price of all of our goods. We have farmed all of our industries out to the East and will soon reap the seed that we have sown. This goes far beyond Apple, as such, will I be selling my Apple stock on the back of Icahn’s statement and actions? Not a chance. Now, Apple, refocus your product line and quality and consider your long term strategy of where you will operate. China will only prove to be more difficult over ‘Privacy’, ‘Monopoly’ and ‘Material’ issues moving forward – maybe a return to the west would best serve your future? As a final note, this article was written the day after, Friday 29th May 2016 that the news broke and is being published on Wednesday 4th May 2016, some six days after the event showing how concerned I am as a share holder. MacRumors has an article about web links crashing in iOS 9.3. We can confirm this to be the case, not only do the links not work it effectively crashes the app in which you are trying to launch the link in. 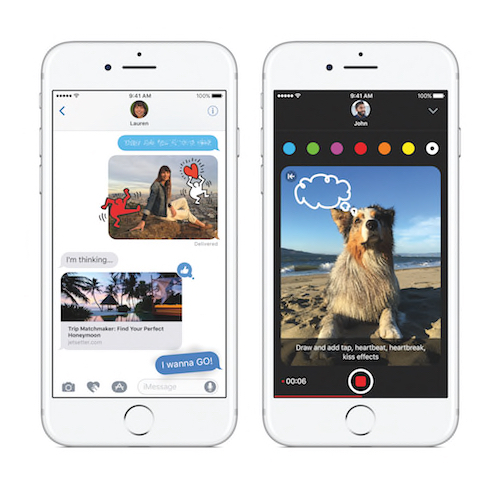 For now we suggest you avoid iOS 9.3. A good article has just been published on David Moore’s site challenging some of the fundamental philosophy’s surrounding e-mail.